Please find listed below our members, listed alphabetically and by county. Click here for our associate members directory. Block 1, Deansgrange Bus. Park. Dublin. South Gloucester Street, Dublin 2. Unit D4, M7 Business Park, Newhall, Naas, Co. Kildare. Lower Cutlery Road, Newbridge County Kildare. Unit 39, Newtown Business Park, Newtownmountkennedy, County Wicklow. 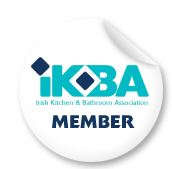 The Irish Kitchen and Bathroom Association is an organisation dedicated to promoting excellence in design, workmanship and customer service in the Irish Kitchen, Bedroom and Fitted Furniture Industry.